CONSORT guidelines call for precise reporting of behavior change interventions: we need rigorous methods of characterizing active content of interventions with precision and specificity. 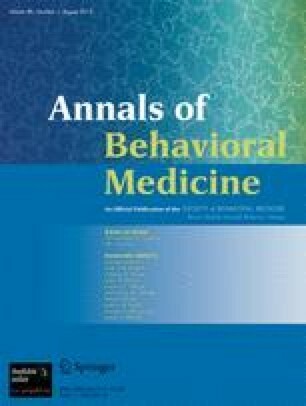 The objective of this study is to develop an extensive, consensually agreed hierarchically structured taxonomy of techniques [behavior change techniques (BCTs)] used in behavior change interventions. In a Delphi-type exercise, 14 experts rated labels and definitions of 124 BCTs from six published classification systems. Another 18 experts grouped BCTs according to similarity of active ingredients in an open-sort task. Inter-rater agreement amongst six researchers coding 85 intervention descriptions by BCTs was assessed. This resulted in 93 BCTs clustered into 16 groups. Of the 26 BCTs occurring at least five times, 23 had adjusted kappas of 0.60 or above. “BCT taxonomy v1,” an extensive taxonomy of 93 consensually agreed, distinct BCTs, offers a step change as a method for specifying interventions, but we anticipate further development and evaluation based on international, interdisciplinary consensus. The online version of this article (doi: 10.1007/s12160-013-9486-6) contains supplementary material, which is available to authorized users. The present work carried out as part of the BCT Taxonomy project was funded by the Medical Research Council. We are grateful to the very helpful input from Felicity Roberts, Members of the BCT Taxonomy project International Advisory Board (IAB), and expert coders.